1. A Sky News survey in September 2018 finds 56% of those asked believed the outcome of Brexit will be worse than they thought when voting. 2. 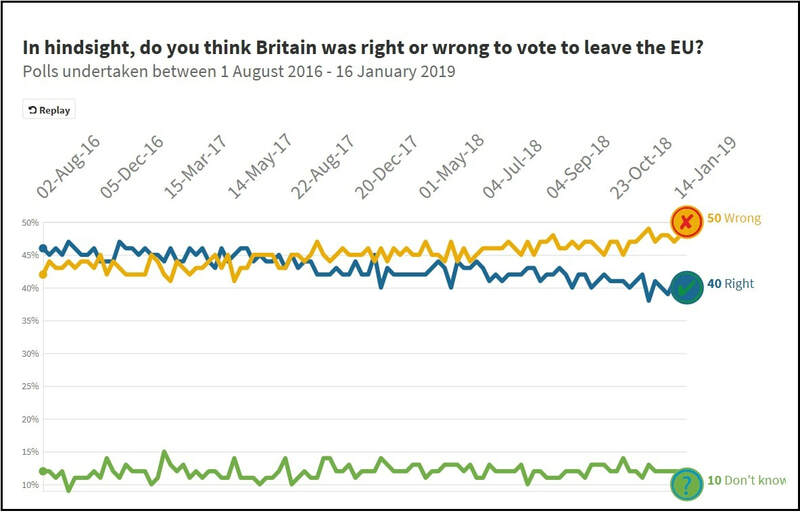 73% of those questioned in a YouGov poll in September 2018 thought the negations were going badly. 3. Research by Best for Britain and Hope not Hate in August 2018 shows that over half of the constituencies across England, Scotland and Wales would now vote to stay in the EU. 4. Research by the Institute of Fiscal Studies (IFS) in October 2018 finds that Brexit will hit male manual workers in the UK hardest. The IFS is politically independent. 5. An analysis of nearly 150 polls finds the majority of Brits now want to remain in the EU. 64% think the NHS will get worse after Brexit. 75% are opposed to leaving the EU. 83% believe the promise that Brexit would bring an extra £350m a week for the NHS was a deliberate lie. 88% said the NHS needs nurses and doctors from overseas to keep operating. 90% said it would take a long time to train UK nationals to replace them. The UK would now vote to remain in the EU by a majority of 54% to 46%. 105 UK local authorities that saw a majority of voters vote leave in 2016 would now vote Remain. This included South Gloucestershire, where only 46.3% would now vote to leave. In 2016 this was 52.7%. ​8. 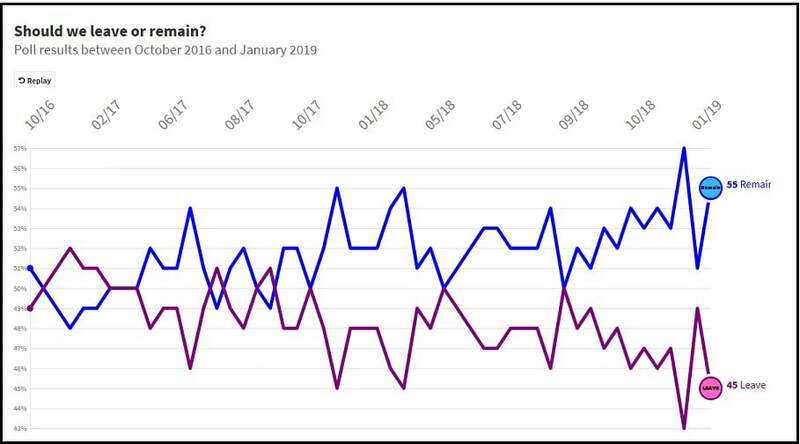 In November 2018 YouGov assessed the public mood on Brexit, constituency by constituency, via an exceptionally large sample of more than 25,000 electors throughout Great Britain. The analysis used a technique called Multilevel Regression and Post-stratification (MPR). It correctly indicated a hung Parliament in last year's general election, when most surveys showed the Conservatives heading for a comfortable victory. Across the United Kingdom, in every region, support for the public being given the final say on Brexit is growing. 631 seats were surveyed - all but those in Northern Ireland. In 575 constituencies there was majority support for a People’s Vote, once “don’t knows” are excluded. In Thornbury and Yate this was 54% in favour and 46% against. MPs who are resisting a People’s Vote risk losing local support - both Labour MPs representing seats that voted Leave in 2016 and Conservative MPs with narrow majorities.